Spending their summer holidays with Farmer Braithwaite and his wife in Scatterbrook, John and Susan come across a particularly lifelike scarecrow in a nearby field. That evening, much to the children's surprise, the scarecrow makes an appearance in the Braithwaites' kitchen to warm himself by the fire. He is Worzel Gummidge and he is no ordinary scarecrow. His tendency to cause mayhem wherever he goes sees a series of mishaps and adventures, often with hilarious results. This is the first of the Worzel Gummidge novels written by Barbara Euphan Todd and was first published in 1936. 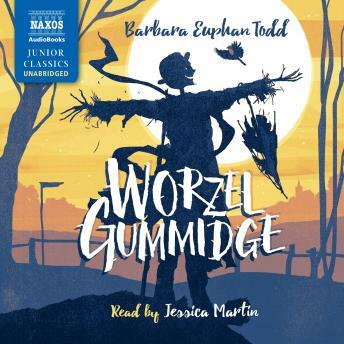 The Worzel Gummidge stories were broadcast on the popular Children's Hour on British radio and two of them were featured in TV's Jackanory. 1979 saw the birth of a successful television series based on Worzel Gummidge and other characters from the books, with Jon Pertwee playing the eponymous scarecrow, which still has a dedicated following to this day. The book is read by the multi-talented Jessica Martin, who infuses the stories with verve and excitement.